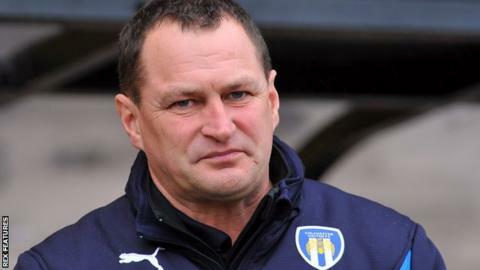 Colchester United will bring former boss Tony Humes back as director of football from 7 March to assist head of football operations Tony Ashby. Humes left the U's in November after 15 months in charge, with Kevin Keen succeeding him in December. Despite the changes, Colchester are bottom of League One and without a league win since October. Humes, 49, was head of youth at the club before becoming manager, and helped to develop their academy. "We have to look for opportunities in every problem and make sure that we are moving with the times," chairman Robbie Cowling said in a statement. "To make sure that we are moving with the times and exploiting every opportunity that exists, I have decided to appoint a director of football (Humes) and a football operations manager (Ashby) who can dedicate all of their time to making improvements to all footballing aspects of the club, whilst also protecting and maintaining the club's philosophy and values."